Best Free DVD Ripper - Free Convert DVD to MP4 AVI iPhone iPad Android...Fastest: WinX raises the bar on DVD ripping speed with genuine hardware acceleration. WinX Free DVD Ripper is the best DVD ripping software to digitize discs for easier backup, archiving, editing and sharing. With 350+ profiles, it can convert ISO image or DVD to MP4, AVI, WMV, FLV, MOV, MPEG, H.264, MP3 and more, and backup DVD to NAS/Plex Media Server for streaming. The ripped files can be viewed on iTunes, iPhone, iPad, Apple TV, Android, Xbox, PSP, etc. The free DVD ripper has defeated 95% of rivals for the ultimate in backup speed and output quality. It has an uncanny knack of integrating WinX-built video processing with hardware encoder and hardware decoder. Particularly, its superlative GPU-based acceleration powered by Intel® (QSV) and NVIDIA® (CUDA/NVENC), together with the support for Hyper-threading and multi-core processor, picks up DVD conversion speed. It will also maximize image quality, optimize the output file size, ease your CPU burden and protect your drive. Widely used MP4/H.264, MP3, HEVC, or lesser formats AVI, MPEG, WMV, MOV, etc. 350+: iPad, iPhone, Apple TV, Samsung, Sony, Huawei mobiles, tablet PC, gaming consoles, etc. Best DVD Ripper Downloaded by 5.8 million users worldwide since 2006. Be our "Plus One". General Intel®, Nvidia® or AMD® hardware (GPU) encoder will assist CPU and accelerate data computing of conversion concurrently. It is much faster than CPU encoding only. About 95% of DVD rippers claimed to support Hardware Acceleration accurately end up with this level. Hardware decoder will further increase DVD ripping speed. It extracts intact raw data through parallel computing to Buffer for later image processing and encoding, without wearing off user's hardware and optical disc. However, none of DVD ripper gets into such level by far. Hardware Processing powered by Nvidia® CUDA/NVENC and Intel® QSV, is a BIG PLUS. Unlike general hardware acceleration, it will not affect image quality at all. Besides, it can significantly quicken the process of source DVD -> HWDec -> Processing (GPU) -> HWEnc -> target video. WinX DVD Ripper Platinum is the only one that has reached Level 3 – at least 50% speed up! Rip DVD in 5 min: WinX Free DVD Ripper offers turbo fast speed to digitize a DVD. It can convert a DVD to MP4 or other general format applied to hard drive, media players, YouTube, and editing apps. It also provides mobile-specific MPEG4 / H.264 / HEVC outputs for iPhone, iPad, Android phones, HDTV, game consoles, etc. as various viewing options. 210+ video audio codecs: To further follow your bent, the abundant profile library is geared up for NAS streaming, SNS sharing, file compressing, and for EVERYTHING. 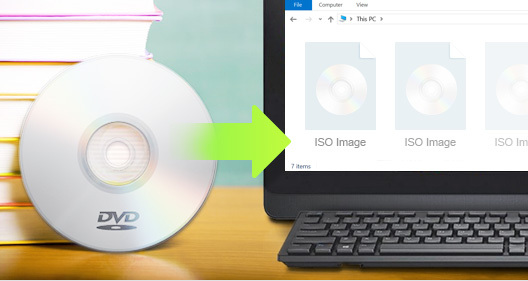 DVD to ISO: The special ISO image output enables you to make an uncompressed and genuine digital copy of the original. It will keep the original structure, video/audio tracks, menus, chapters and subtitles, without a shred of quality reduction. 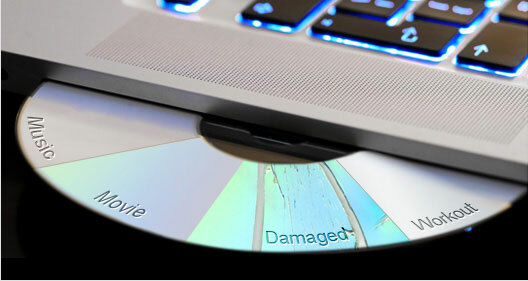 The ripped file can be further created and burned to another optical disc or act as a virtual CD/DVD drive. DVD to MPEG2: WinX also provides main DVD title to a single MPEG2 copy, as a similar quality-lossless option. The 5.1 Channel AC3/DTS Dolby audio can be reserved. WinX Free DVD Ripper supports all types of discs. It works peerlessly on both old and new DVDs, blockbuster movies/episodes, homemade DVDs, etc. The type ranges from disc (DVD+/-R, DVD+/-RW), ISO image file to VIDEO_TS folder, in UDF or ISO 9660 file system standard, or in NTSC or PAL region standard. Settings & Editing: You can have flexible and effortless controls over audio video formats, qualities, Sample Rates, Frame Rates, resolutions, etc. 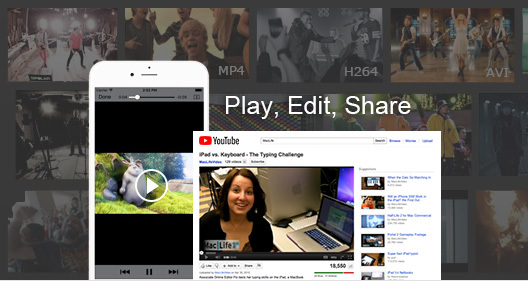 The versatile editing feature lets you crop, trim, merge your DVD videos, select audio tracks or attach subtitles. Disney X-project is a Disney's Fake that disguises a DVD with 99 titles and 40GB enormous file size. It is largely applied to movies, workout DVDs and Japanese AV DVDs, likely to disable the access to some DVD players. It may even shorten the life of DVD drive if using wrong decoding scheme. WinX's unique Disney Fake checking technology will cope with such tricks for personal backup needs. It can avert program crash, chapters out of order or continuous loop. * To see more content to the right, please use the slider on the bottom of this table. to Apple, Windows, Android, PSP, Xbox etc. to Android, iPhone, iPad, Playstation, Xbox etc. DVD to MKV. Preserve all content info. AVI, MP4, AVC, MPEG, WMV, 3GP, MOV, etc. to iPad, iPhone, Android, Sony PSP, Zen, etc. WinX DVD Ripper has been known as the fastest and best DVD ripping freeware. Now with utmost utilization of both CPU and GPU acceleration, along with the unique video processing technology, the DVD ripping speed has raised to a higher level, while the original video quality is basically maintained. Most of all, it consumes CPU less than other competitor products, so it won't crash or freeze during DVD conversion. With 12 years of experience, the software has been the first choice of millions users for digitizing DVD discs to hard drive. Which Output Format Is More Ideal? "DVD to MP4" vs "DVD to AVI"
In the case of backing up a DVD, many people may hesitate whether to choose MP4 or AVI as the output format. Which of the two is the best video format for DVD backup/ripping? 1. The file size of AVI video is comparatively large. A 60-minute AVI video can reach 25 GB file size. 2. AVI does not support HEVC codec that is for higher quality video and better compression rates. 2. AVI can only contain one video and audio track, and cannot contain subtitle. 3. It is not acceptable by many portable devices such as iPhone and Android, and not supportable by Apple Mac either. As a file format, MP4 is the most popular video file format nowadays. It can be played on Windows, Mac, iPhone and Android platforms. Ripping DVD to MP4 is the best choice because MP4 has overcome all the weaknesses in AVI format. Generally, MP4 accepts widely supported video Codecs including MPEG4, H.264 and HEVC (saving about half the size of H.264 / AVC), together with an audio Codec - AAC (2 Channel - 8 Channel), MP3. MP4 file format can be supported by almost all players, such as free 5KPlayer, Windows (10) Media Player, VLC, MPC-HC, and MPlayer. Therefore, to rip a DVD to MP4 is a wiser choice than to rip DVD to AVI. Why WinX Free DVD Ripper Is the Best Choice for DVD to MP4? WinX DVD Ripper is an essential yet highly-rated free DVD ripping program for Windows. It works perfectly on both 32 bit and 64 bit of Windows 10, 8.1/8, 7, Vista etc. It can load and analyze all general DVDs in disc/folder/ISO image format fast, and then rip DVD content to MP4 (H.264 or MPEG4), with hands-down high quality still. Also, either inner subtitles or audio channels are selectable. If anyone happens to prefer a piece of subtitle-free MP4 video, just disable it in advance. The whole DVD ripping process (software downloading and installation included) is 100% clean, stable and secure. Watch disc to digital video tutorial. Furthermore, quick customer service response can be enjoyed by all WinX users.